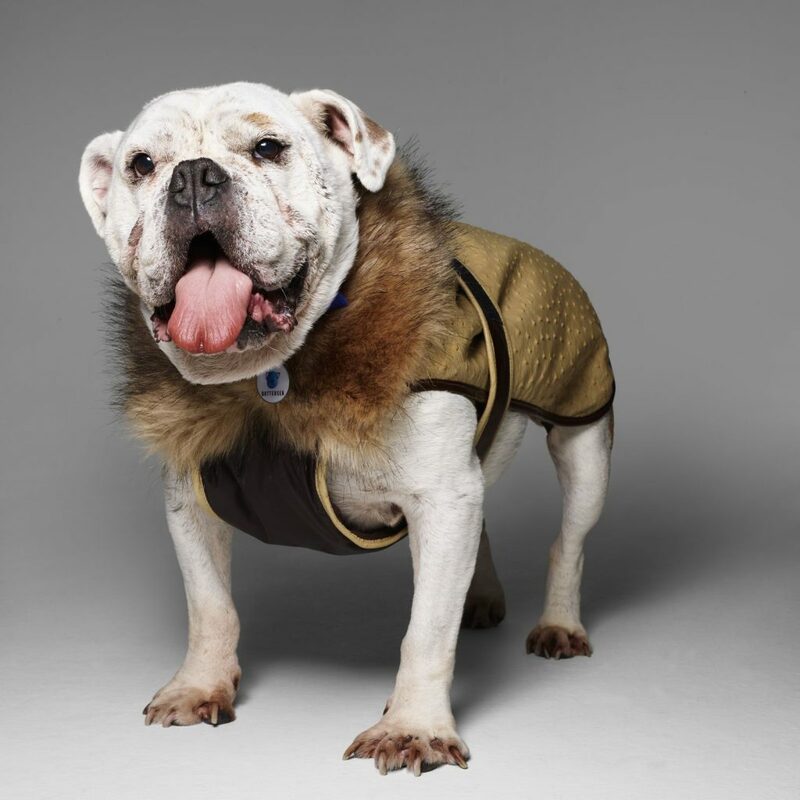 Fashion’s biggest names have been turning their attention to the homeless hounds at Battersea Dogs & Cats Home, creating bespoke dog costume coats, collars, and leads to be auctioned off to raise vital funds for the charity. Jeff Banks, Jasper Conran, Ben De Lisi, Lulu Guinness, Jeremy Hackett, Julien MacDonald, Bruce Oldfield, Jenny Packham, Trevor Pickett, Richard Quinn, Christopher Raeburn, Zandra Rhodes, Swarovski, Philip Treacy, Vivienne Westwood, and Matthew Williamson have all been brought on board by leading fashion stylist and Battersea supporter Hilary Alexander. Their unique and functional creations will be modelled by Battersea dogs at the charity’s Collars & Coats Gala Ball on November 1, and front row guests are in for a one-of-a-kind ‘Dog Walk’ with Westies in Westwood, Poodles in Packham, and Staffies in Swarowski. Ahead of their Dog Walk debut, a handful of Battersea’s four-legged residents got an extra special taste of the supermodel life as they descended on esteemed photographer Rankin’s studio to take the spotlight in front of his legendary lens for some stunning shots. Marjorie the six-year-old British Bulldog staying snug in a classic Trevor Pickett coat. Image courtesy of Rankin. 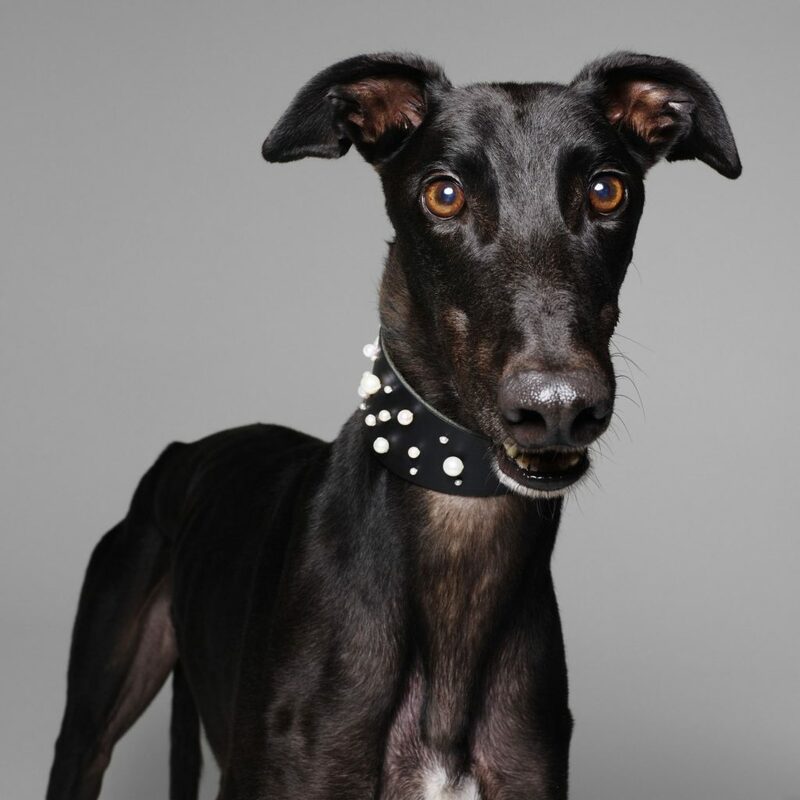 With Rankin’s photos giving trend spotters an exciting preview of Battersea’s runway collection, fashion followers and dog lovers need not wait to acquire an incredible piece of canine couture – as bidding is open via an online auction at https://www.collarsandcoats-auction.org.uk. It’s an unmissable opportunity for animal lovers to get their paws on the most desirable accessories for their pets, while knowing all money raised will go towards the charity’s work helping over 7,000 abandoned and unwanted dogs and cats each year. The dog walk will be a highlight of the Collars & Coats Gala Ball, supported by headline sponsor Vets4Pets, a charity fundraiser that marks its 10th anniversary this year. On this one glittering night of the year, Battersea supporters come together to celebrate the charity’s work rescuing, reuniting and rehoming thousands of dogs and cats. An electrifying evening of entertainment is in store this year with performances from aerial acrobats and the undisputed music legend that is Billy Ocean. The ‘Caribbean Queen’ singer is the latest in a long list of big-name performers to take the stage at Collars & Coats. Over the last decade guests have enjoyed entertainment from Roger Daltrey, Jamie Cullum, Sister Sledge, Vanessa Mae, UB40, Mica Paris, Alexandra Burke and many more. For more information or to be part of this amazing evening, please visit www.collarsandcoats.org.uk. 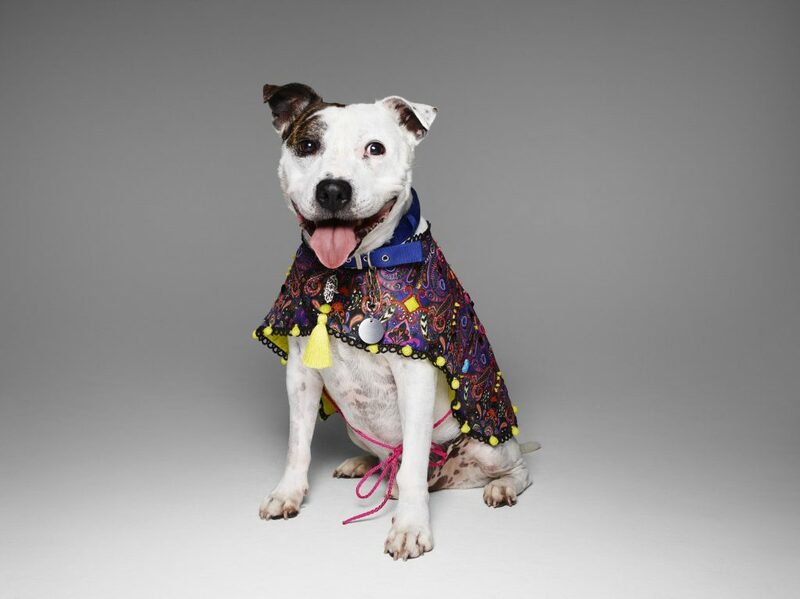 Noah the eight-year-old Staffordshire Bull Terrier, looking fabulous in a Matthew Williamson coat. Image courtesy of Rankin. 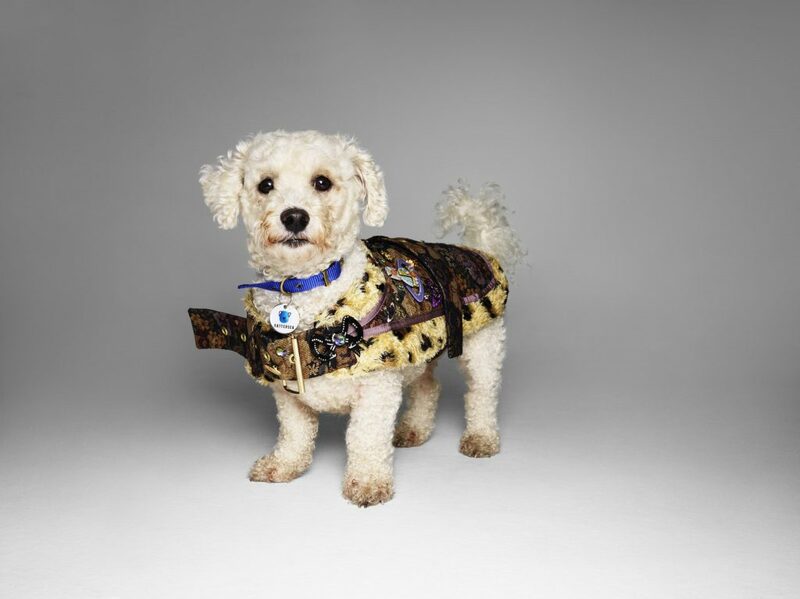 Gemma the five-year-old Bichon Frise rocking an original Vivienne Westwood coat. Image courtesy of Rankin.